This long-awaited second edition of Principles and Practice of Phytotherapy covers all major aspects of herbal medicine from fundamental concepts, traditional use and scientific research through to safety, effective dosage and clinical applications. Written by herbal practitioners with active experience in clinical practice, education, manufacturing and research, the textbook is both practical and evidence based. The focus, always, is on the importance of tailoring the treatment to the individual case. New insights are given into the herbal management of approxiately 100 modern ailments, including some of the most challenging medical conditions, such as asthma, inflammatory bowel disease and other complex autoimmune and inflammatory conditions, and there is vibrant discussion around the contribution of phytotherapy in general to modern health issues, including health ageing. 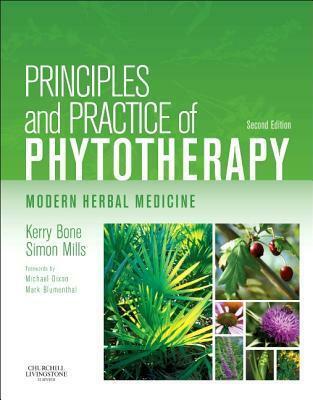 Fully referenced throughout, with more than 10, 000 citations, the book is a core resource for students and practitioners of phytotherapy and naturopathy and will be of value to all healthcare professionals - pharmacists, doctors, nurses - with an interest in herbal therapeutics. Comprehensive revision of vital safety data, including an extensive herb-drug interaction chart.